Romneys originated in the Romney Marshes of Kent in England. They were bred to thrive in the damp environment of this area. Their outstanding characteristics include hardiness, excellent mothering instincts, the ability to thrive on pasture alone, and resistance to foot rot. 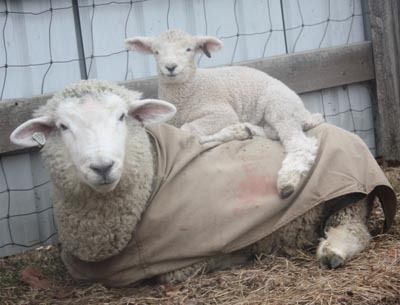 They are one of the few truly dual-purpose breeds, being raised both for their fleece and mild-flavored meat. Romneys constitute the vast majority of the sheep in New Zealand, where they serve as the main commercial breed. Romney wool is prized by handspinners for its high luster, soft handle and ease of spinning. It is one of the finest fleeces of the long wool breeds, noted for its well-defined crimp, lock structure and relatively low grease weight. 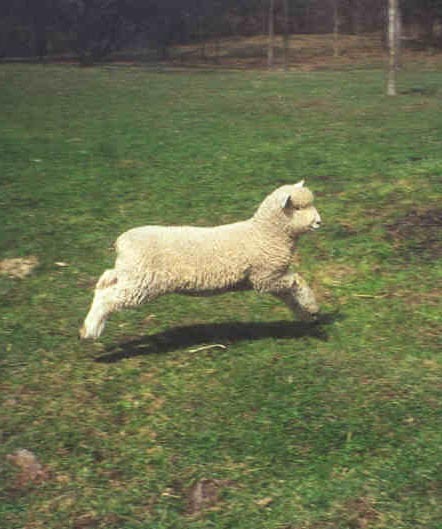 The annual staple length (amount of wool growth between shearings) is approximately eight inches. 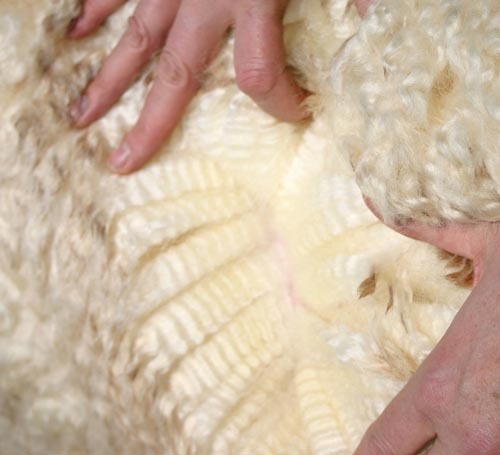 We usually shear when it reaches around five inches. We raise both white and natural-colored Romneys. Romney lambs reach market weight (115 – 120 lbs.) at about five months of age. They are very thrifty and do well on pasture. The meat is lean, tender and mild tasting. 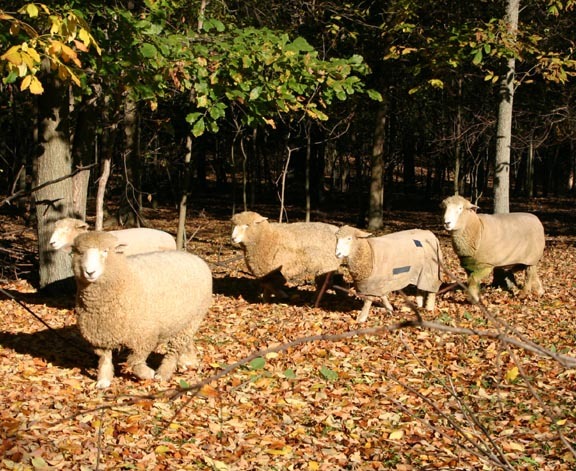 True to their breeding, Romneys are highly resistant to foot- and wool-rot. They are quite hardy and are noted for their ease of lambing and strong maternal instincts. The Pitchfork Ranch flock is not large, but highly selected for conformation, wool character, maternal instincts, fertility and longevity. Our ewes typically lamb unassisted, and remain productive well past the age of eight years, continuing to wean twins and triplets. 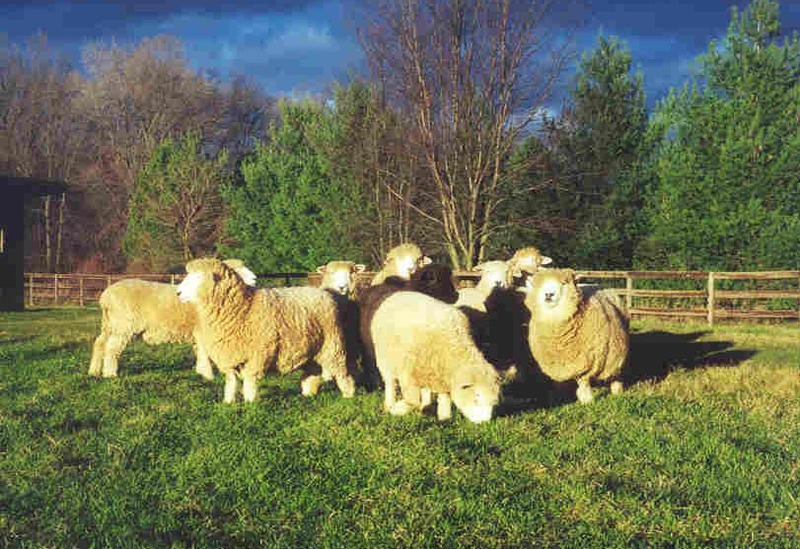 We maintain our ewe flock at between 20 and 25 proven breeders. Our lambing percentage averages 175%. We hold our breeding ewes at a relatively low number because of the importance we place on a healthy, well-kept flock and the attention to details necessary to keep it so. We will happily provide references of our customers upon request.